Biography Biodata and Profile Untug Suropati - what you do not know him he is a hero that I think is interesting to see her story, Untung Suropati originally a serf of bali. Because no matter majikanya romance with the daughter named Suzanne, he then fled to Batavia and became robbers for a living. The victims are the Dutch people. Because of the difficulties facing Fortunately, the Dutch then invite collaboration. Untung, later in the army and was appointed student army with the rank of lieutenant. Untung Suropati then tasked to capture the Prince of Ancient, son of the Sultan of Banten Ageng who fled to Priangan. The task can be completed properly. When performing a handover of prisoners, there was a Dutch letnam named Kuffeler hurl insults against Untung in public.Untung Suropati angry, then kill letnam half Dutch and their subordinates. He later escaped and returned to his old job and fight the Dutch. In a battle in Kertasura, Lucky Captain Untung Suropati killed along with 70 of his men. Dutch troops killing event occurred on February 8, 1686. Untung Suropati worked with Amangkurat 2 of Mataram. 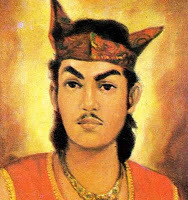 With the approval of the king of Mataram, he later formed their own kingdom in pasuran.Untung, later took the title of Duke of Ariawiranegara. Untung Suropati last battle with the Dutch occurred while he maintained Bangil area. In the battle, Lucky suffered serious injuries and eventually died on December 5, 1706. To honor the services Untung Suropati, based on Presidential Decree No.. 106/TK/1975, the government bestowed the title of National Hero To him.